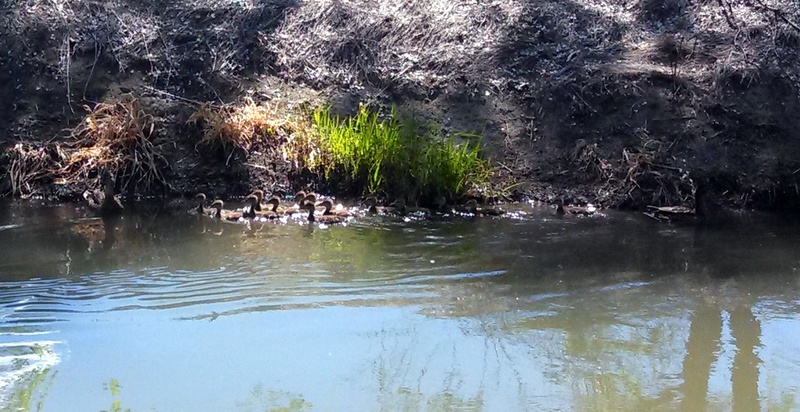 In the canal by my home, there are a couple of duck moms who appear to have banded together to share the duties of caring for their large number of ducklings (see one adult on each side of the group of kids). You’ll need to click for the larger version, and even then the mom on the right side is well camouflaged. There are FOURTEEN ducklings! 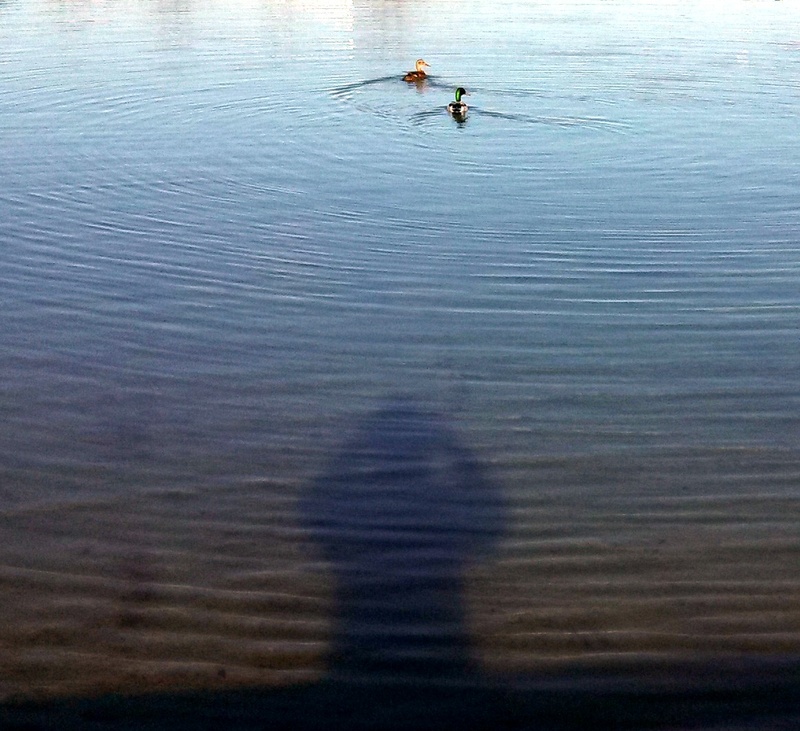 A rare photo with me in it – I was trying to capture the perfect circular wakes of this duck couple but they weren’t cooperating. 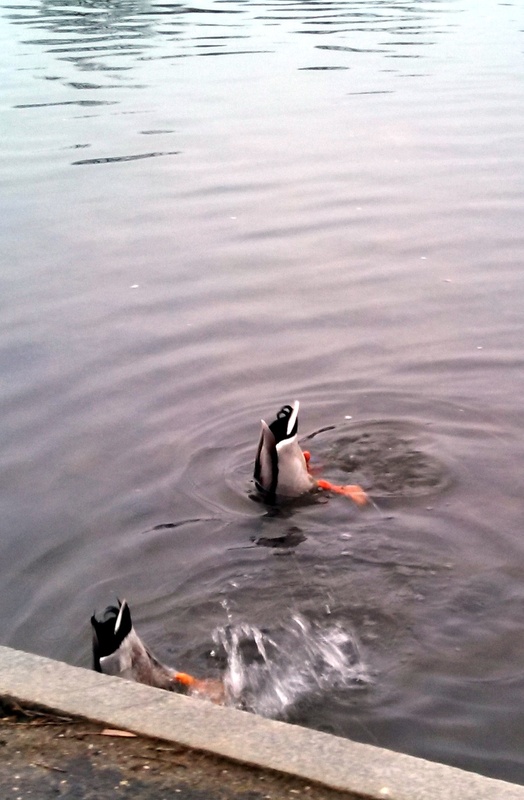 The irrigation canal has been filled – which always means the return of the duck couples. 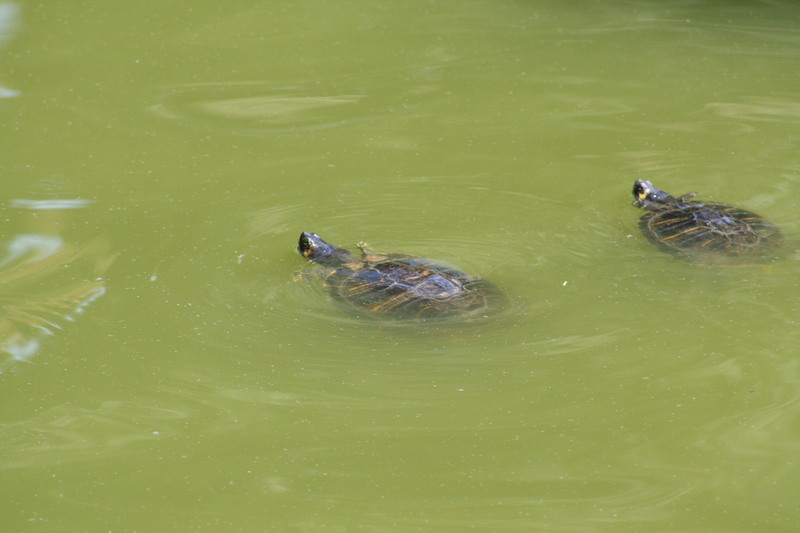 I spotted several but this was the closest I managed to get for a photo. 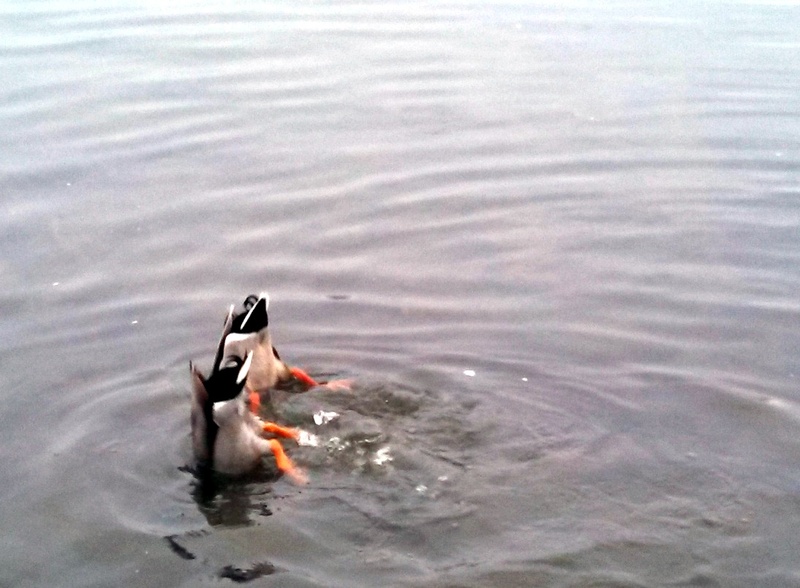 These two appeared to be doing a synchronized swimming routine. I get to see a lot of wildlife while I’m walking. There are some wetlands on a ranch that I walk near – the road is above the ranch so I’m looking down. 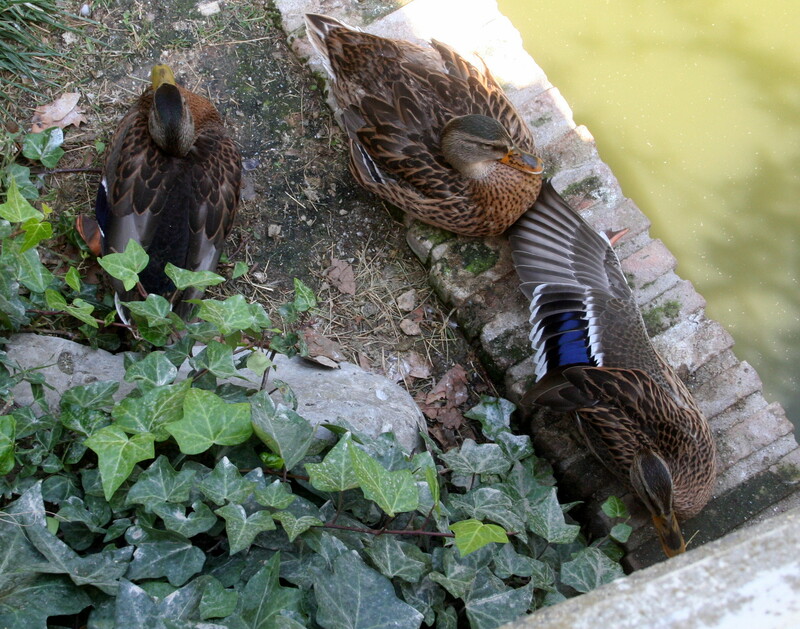 The pond attracts a lot of ducks – in summer it’s covered in algae and in winter part or all of it freezes over. If you look closely (you may want to click to enlarge the photo) you can see that part of the pond is frozen and the ducks are walking on the ice there! A very entertaining scene, indeed.